The smart home safety program can be equipped with a bed presence monitor, panic buttons and sensors that monitor an elderly person’s activity level and patterns and video monitoring. Activity Patterns -understand family member’s activity pattern and get an alert if it’s out of the ordinary. Awareness -make sure a loved one is getting up and about. Real-Time Alerts -be alerted if a loved one is wandering or leaving the house at odd hours. Security & Automation -simplify daily routines with automated temperature, light and security settings. Integrates Pendants -wellness can also be paired with Personal Emergency Response pendants. 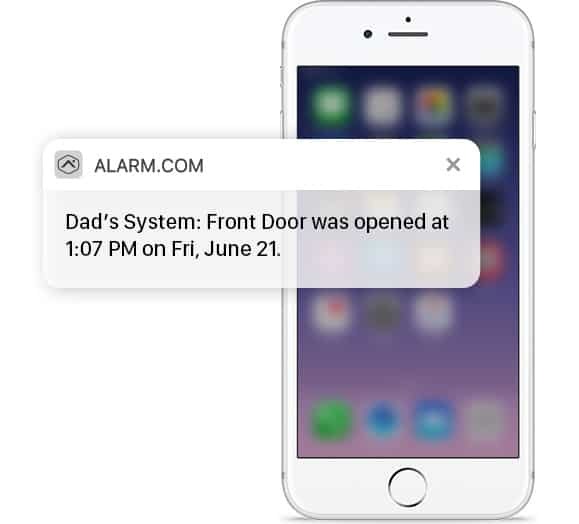 Alarm.com provides built in schedules to automate lights, thermostats, locks and security so that an elderly person doesn’t have to remember to turn lights on or off, or lock the door every night and most features can also be controlled by a caregiver through a mobile app using wi-fi and a smart phone.